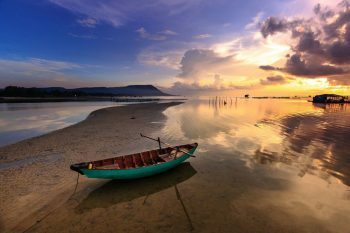 The price is subject to change due to Vietnam’s public holidays. You may contact us for further details. Somewhere not far from the cacophony of scooter, motor vehicle traffic, the modern downtown and jungle of concrete, there is a countryside with dirt foot tracks and stream crossings under thick jungle canopies. A bit further to the north of these woods, there are hills covered by cashew nut, rubber and coffee plantations. 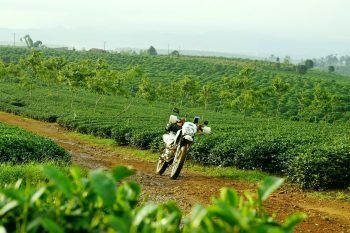 Saigon Riders will guide you on this two day motorbike tour (Vietnam) and provide you with the best dirt bike tour experience. It is suitable for all rider levels and aimed for those who do not have enough time for the longer ride but still want to challenge their skills. The price includes guide, gasoline, B&B accommodation (double/twin shared room, extra $20 for single room), entrance fees, all meals and water. 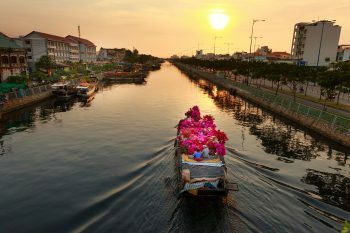 Following your Saigon Riders guide, you’ll leave bustling Ho Chi Minh behind and head to the back roads. On the way you will see how the Saigon locals manage to negotiate their ride to work in the heaving traffic as well as understand the chaotic order of sharing the road. 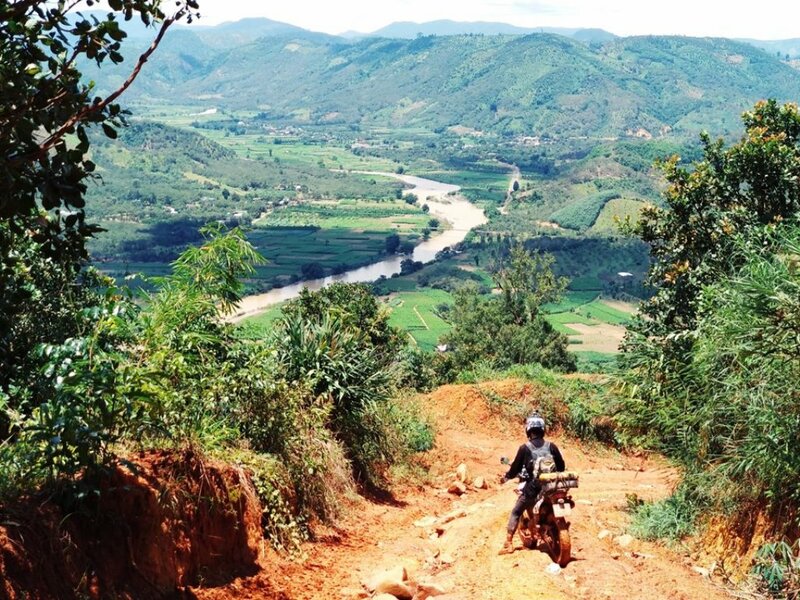 In this motorbike tour (Vietnam), we’ll escape that and take you out through the scenic countryside and continue on by driving along dirt trails zigzagging through villages, rubber plantations. 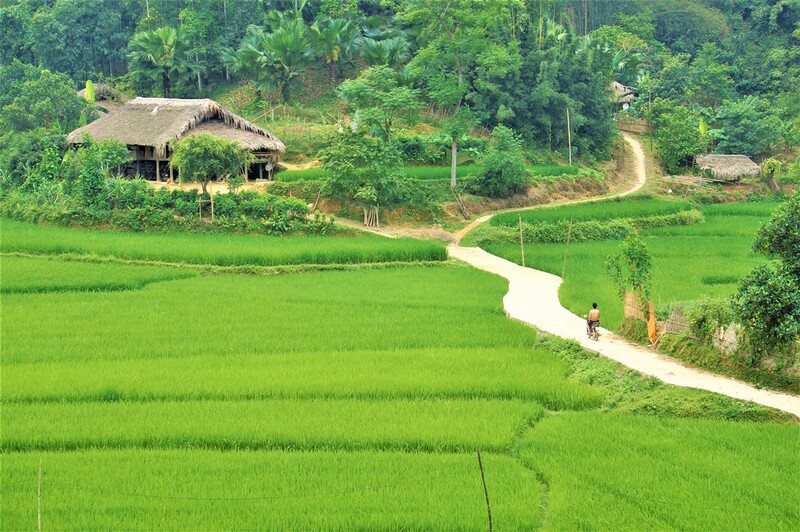 Day 1: route will take us north of Saigon up through Dong Xoai and across Bình Phước Province at the lower reaches of the Central Highlands. Lunch on the way is at a restaurant where beef is the main highlight. 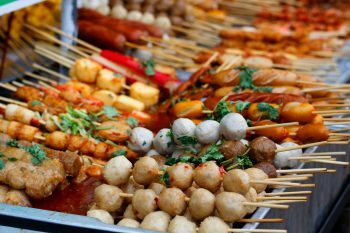 It is a good chance to explore local cuisine such as barbecue steak and a variety of herby mints. Sit back checking out some photos taken on the morning ride while waiting for your steak and enjoying an ice cold drink! After lunch, we’ll cut through the agricultural bounty of this part of Vietnam – cashew, rubber and coffee plantations before heading through the pleasant rural town of Da Te. Nam Cat Tien is the overnight destination for day one of our dirt bike tour. On the way we’ll take some back roads through remote rural ethnic villages to take in some spectacular and diverse landscape. A solid day’s ride followed by a good meal and welcome night’s rest. Day 2: starts with a quick breakfast on the edge of Cat Tien National Park before we continue our dirt bike tour. 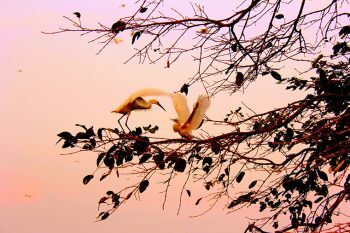 It’s a rich lowland tropical forest and biosphere reserve in southern Vietnam which protects a variety of breathtaking flora, birds as well as animals including Asian elephants, sun bears, gaurs and a variety of smaller mammals. 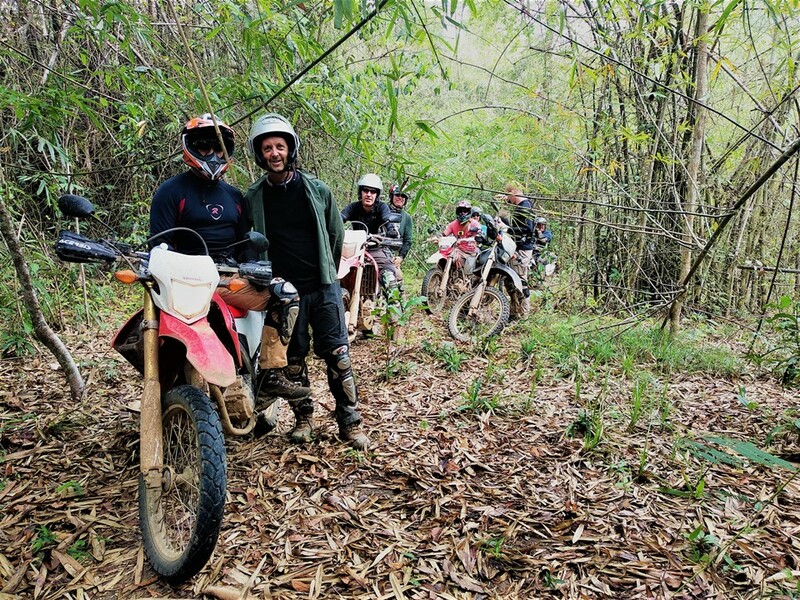 We’ll have to leave visiting Nam Cat Tien for another day and instead concentrate our energies on more important matters which are your goals for today: enjoying the trail riding and managing not to fall off your bike! 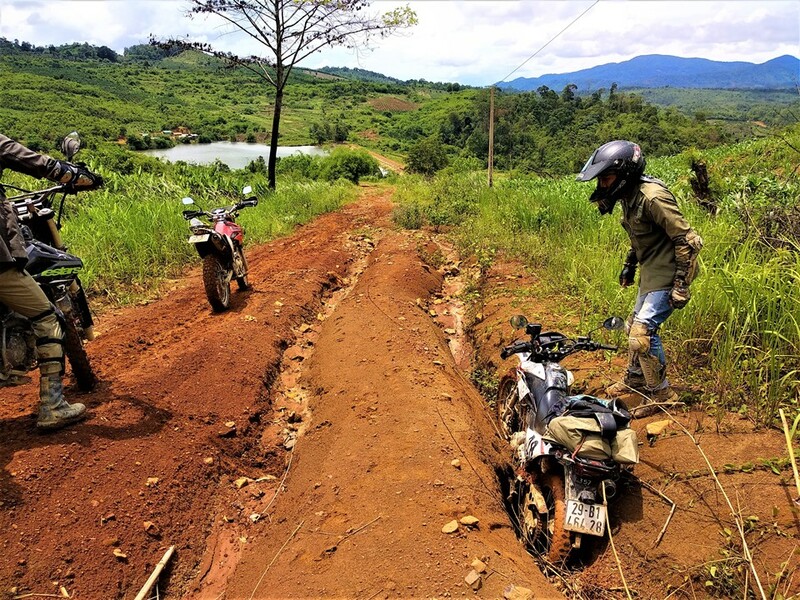 The area surrounding Nam Cat Tien provides very challenging muddy and slippery trails in the rainy season. 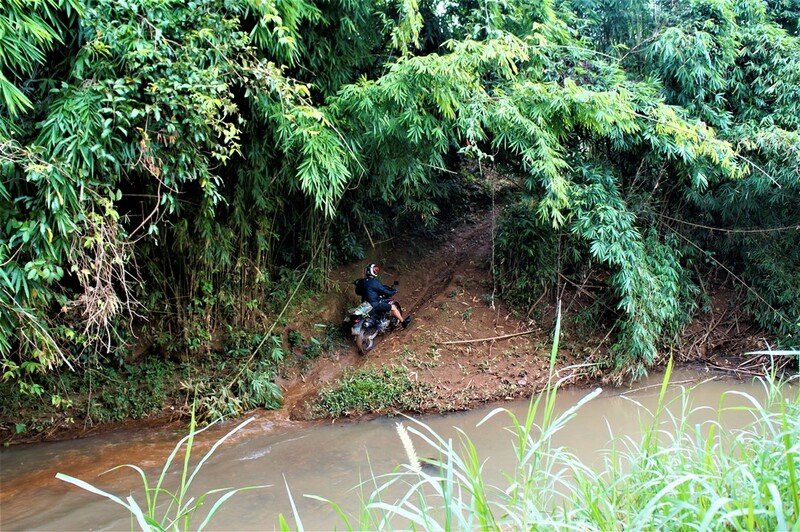 In dry season, dirt riders also find challenges in conquering the tracks through cashew plantation and stream crossings. 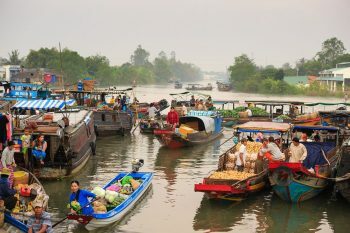 After negotiating these obstacles we’ll continue on past Tri An lake and return to Ho Chi Minh with an arrival on Sunday evening. 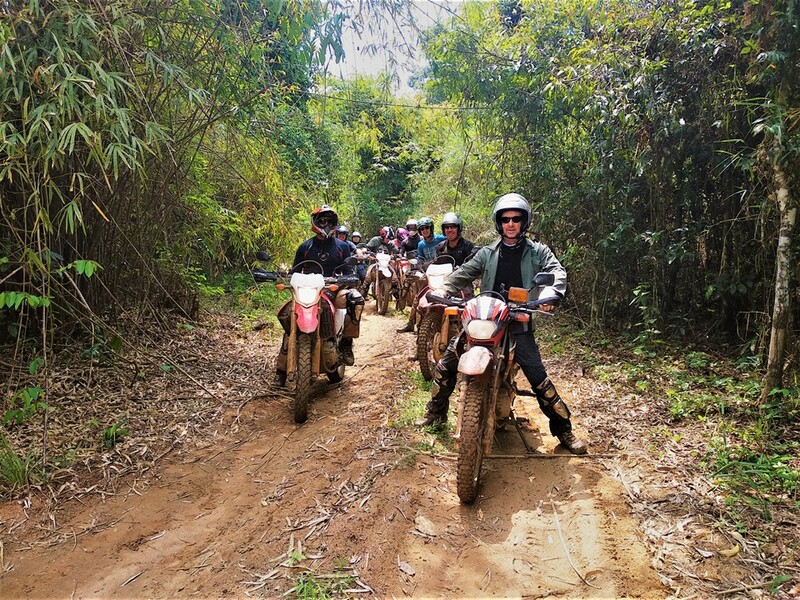 A mix of off-road and on-road, a dirt bike tour ride with family, friends and colleagues to Nam Cat Tien and back is a great taste of the muddy tracks and dusty trails in thick jungle and diverse rural settings. No pain no gain! 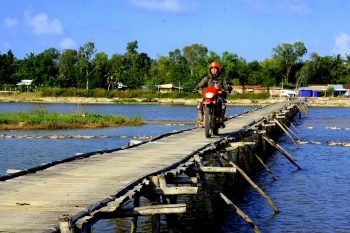 More adventurous motorbike tours (Vietnam) are waiting for you!